African countries lose $148 billion to corruption every year, President of the African Development Bank, Akinwumi Adesina has said. "Just think of how many continents you could light up with that amount," Adesina said at the Bank’s headquarters in Abidjan, Côte d’Ivoire on December 9, 2015 in commemoration of International Anti-Corruption Day under the theme Break the Corruption Chain. According to him, $55 billion a year is enough to light up and power Africa – an amount, he said could be realised given the continent’s $82 trillion in undiscovered resources, adding that darkness has festered on the continent due to corruption. "The cost of corruption is massive; it turns the whole continent into darkness. Because of corruption, Africa is known more for its darkness than light. 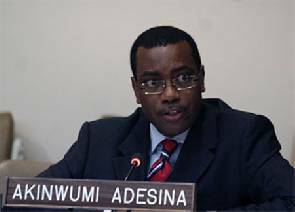 It is important to understand the negative impact of corruption on the continent," Adesina said. Adesina said tens of millions of Africans still study without proper light, 700 million Africans are without access to clean cooking energy, and 600,000 people – 50 percent of them women – die every year due to a lack of access to clean cooking energy. “That is an indication of government failure,” he stated.